"You are a dream and I keep waking up in ashes." Eleven track album by Canadian songwriter / musician Bunny Brown. A collection of songs documenting her journey since 2004's Tomorrow The World, through life's challenges, loves, losses and triumphs. The recording features a number of guest musicians and inspired performances. 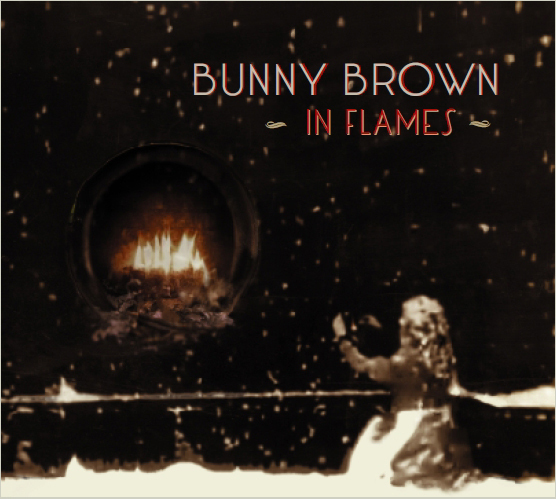 Players include Jason Staczek, best known as composer for Guy Maddin films, Al Cross, Victor Bateman, Ben Bowen, Rachel Deck, and Michael D'Amico, who also co-produced the album with Bunny Brown, as well as with Jason Staczek on track five, A Quiet Demon. and be sure to add your shipping info. and download 11 tracks for $12. "What an astonishing voice. What supreme language and musical gifts. If art can, indeed, transmute pain into beauty, every track provides fresh evidence of what the positive gains might be." Waits and Kate Bush. Lyrically brilliant as always!"